Aug 11 - Dhaka, Bangladesh - Enraged by mass firings, unpaid wages and brutal harassment by security forces, thousands of garment workers went on strike and rioted, attacking security forces with sticks and stones and vandalizing the factory for several hours. 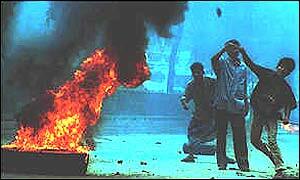 Unrest spread the next day as 15 factories and 4 shopping centers were attacked by roving crowds of the exploited. 3 other factories went on strike, demanding pay increases, and 60 factories closed over the weekend. Aug 10 - Montreal, Quebec - After police gunfire killed 18-year-old Honduran immigrant Freddy Villanueva and hospitalized two other youth, 500 officers were called out to suppress the ensuing riot in which a dozen stores were looted, cars and dumpsters set alight and one cop hospitalized by a gunshot wound to the leg. 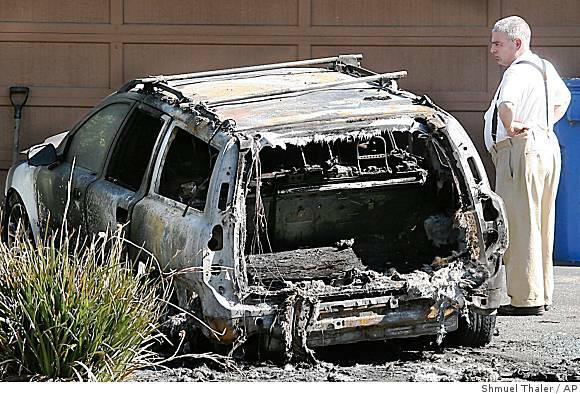 Aug 2 - Santa Cruz, California - Two vehicles belonging to animal experimenters in the employ of the University of California-Santa Cruz were destroyed by incendiary devices. There was no communique, but the FBI has searched a home in Santa Cruz which was burglarized by a SWAT team in February following a demonstration at an animal experimenter's house. The Humane Society of America has donated $2500 to the reward fund.